It seems the 22 year old ex Bbnaija Housemate, Onyenobi Nina Chinonso populary known as Nina Ivy, has finally gotten herself a new man after being dumped publicly by 2018 BBnaija winner and ex lover, Miracle. 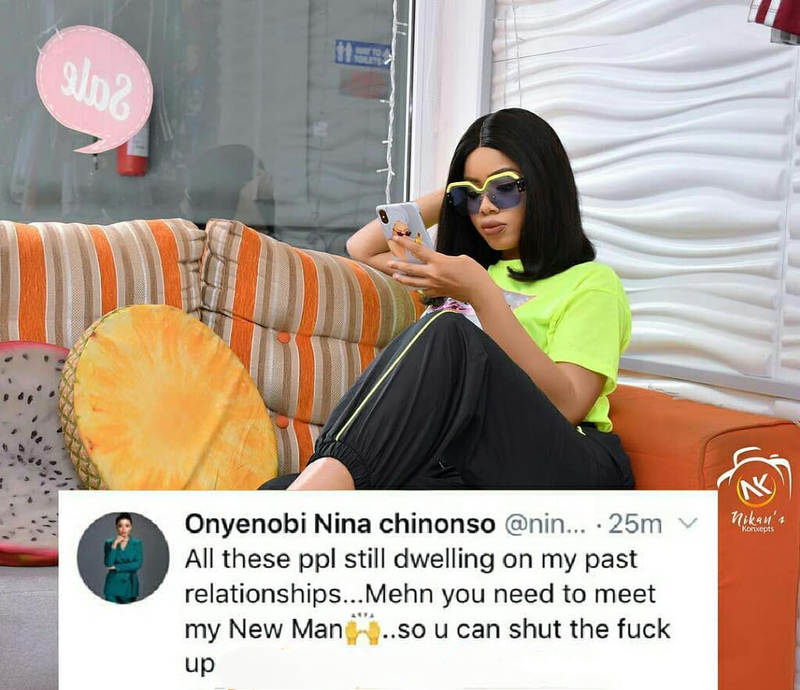 The Reality TV star, Nina, appears to have grown a thick skin and an 'I don't care' attitude ever since the BBNaija reunion show begun especially towards Miracle fans after they all came for her during the 'Tobi and Alex Hotel $ex Scandal' and this shows in her recent posts. Recall back then in the house, Nina and Miracle were inseparable and even engaged in $exual activities. It was very obvious from Nina's diary Sessions with 'Big Brother' that she was smitten with him. 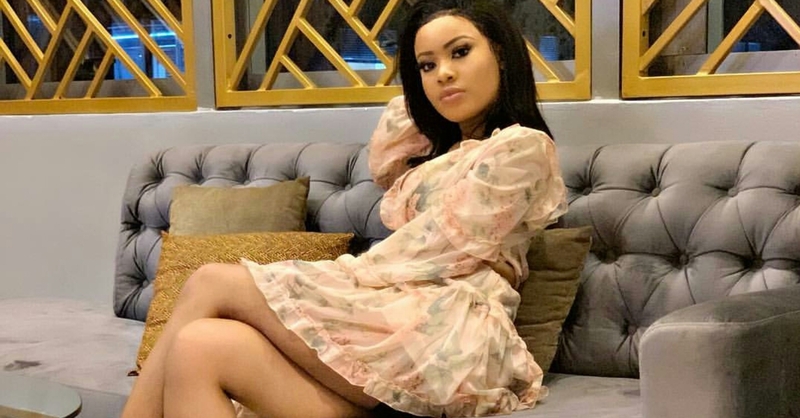 However, the two seemed to have fallen out with each other after the show and as expected, fans are not letting her forget about her relationship with the 2018 BBNaija winner. "All these ppl still dwelling on my past relationships...Mehn you need to meet my new man..so you can shut the fvck up."